Little B has been asking me to make pancakes for breakfast for some days now. And I, for some reason even unknown to me, have been just putting it off until tomorrow. Why? I can’t think off. Pancakes are easy enough to make. I didn’t want to make them may be because sometimes I feel like not doing that particular thing that is especially requested to me. I know its not very motherly, but it is what it is. I agree to 95% of whatever Little B demands of me. That entitles me to not agree to the remaining 5% of her demands even though I can do them in a jiffy. I also deserve to act like a toddler sometimes – throwing hands up even when nobody is expecting anything from me or putting on my angry face even when nobody is complaining. Won’t you agree? So after a week of giving excuses to Little B, I finally decided to make pancakes for breakfast today. I was also in a good mood so I decided to throw something extra and make the breakfast a little special. And that what lead to the Mango Maple Syrup! The real inspiration for the syrup came from Nigella Lawson. The lady is a goddess, look how effortlessly she transforms simple syrup into Blueberry gooey goodness. If Nigella can do it, so can I. I just need syrup and a fruit, right. 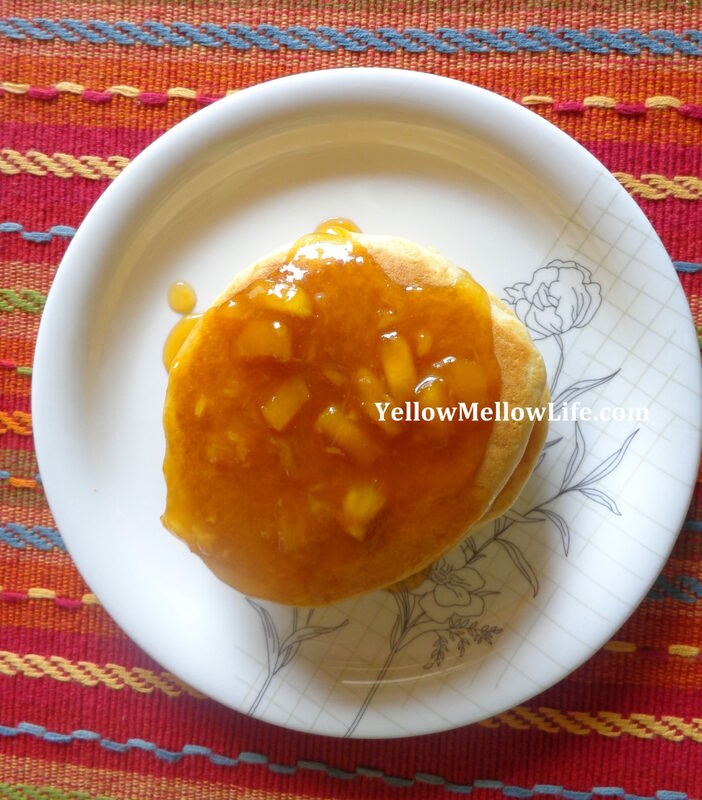 Finding blueberries here isn’t easy so I substituted them with the summer fruit of India – mango! 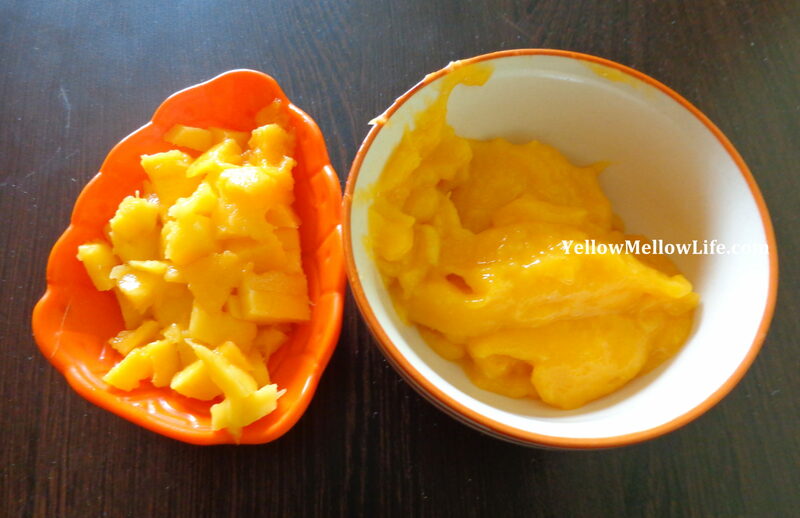 Keep aside about 1/3 cup diced mangoes. 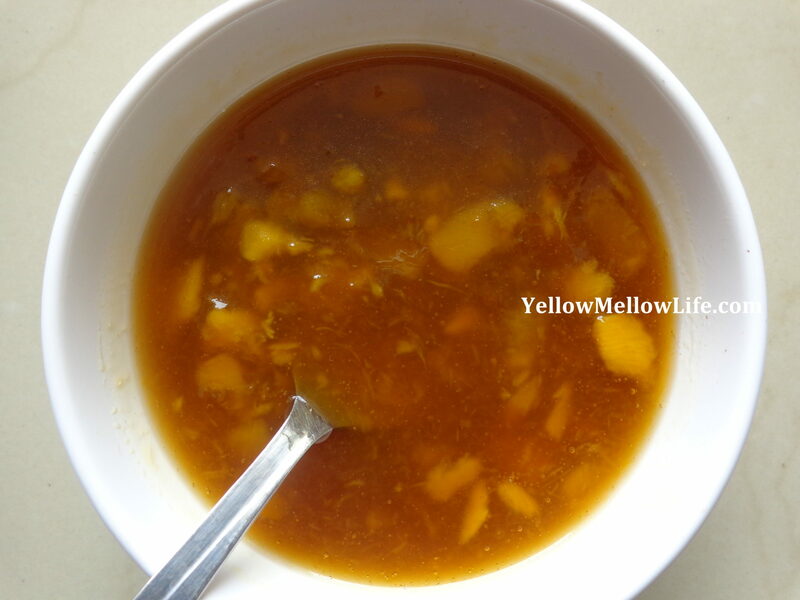 Puree remaining 2/3 cup of mangoes. 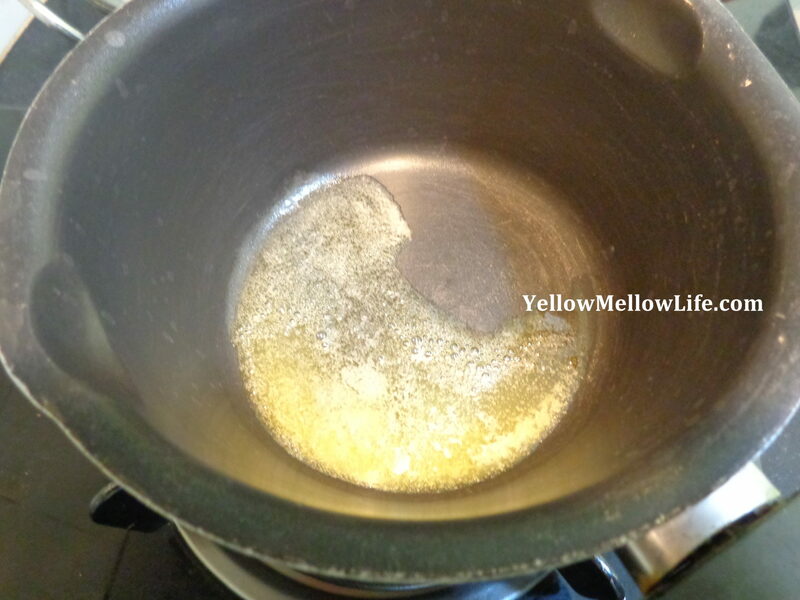 Get the butter in a pan over medium heat. Wait for the butter to melt and bubble. 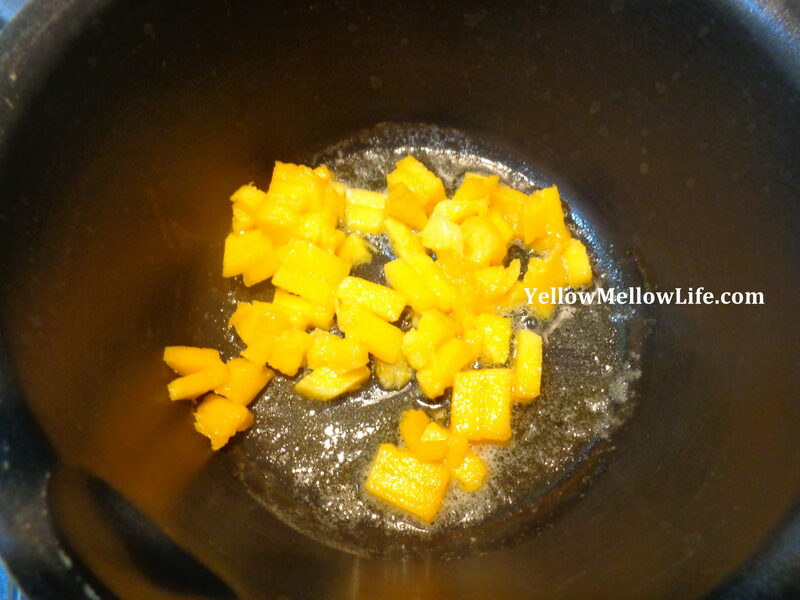 Add diced mangoes and cook them for just a couple of minutes and let them soften a little. 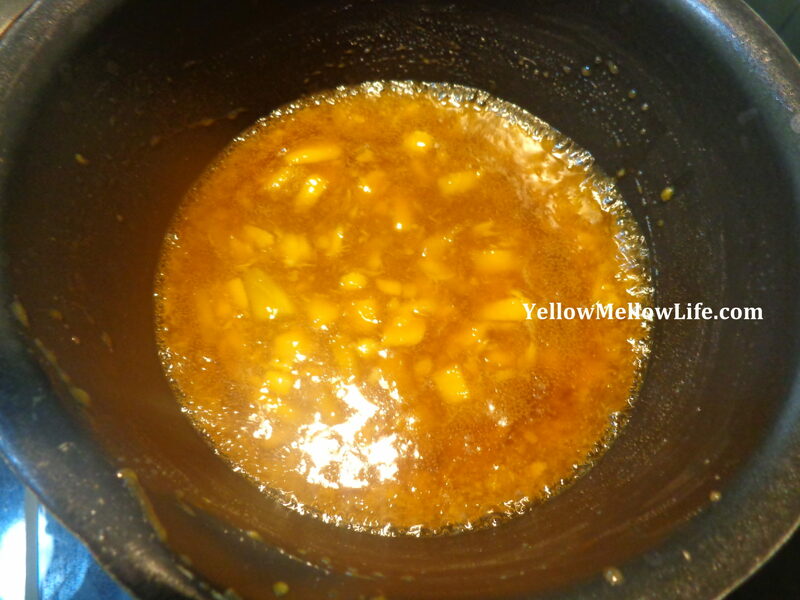 Add in the mango puree and maple syrup in the pan and let it come to a boil. Lower heat and let the syrup simmer for additional 2 minutes. Bring syrup to the breakfast table. Pour generously over your pancake tower and dig in. What a heavenly syrup! I feel so proud of myself that I made this syrup for myself to enjoy (yes Little B and Mr B enjoyed as well). P.S. I use Nigella’s instant pancake mix for my pancakes. Following my latest fad I use whole wheat flour instead of all-purpose flour.